The Page 99 Test: Nancy Woloch's "Eleanor Roosevelt: In Her Words"
Nancy Woloch's "Eleanor Roosevelt: In Her Words"
Nancy Woloch is a Research Scholar in the History Department, Barnard College, Columbia University. 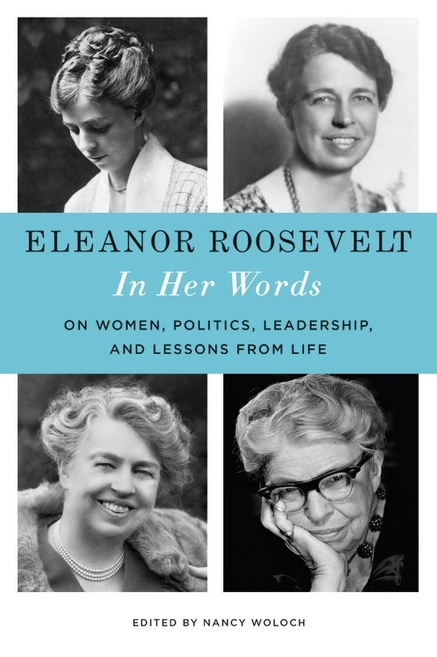 Eleanor Roosevelt: In Her Words uses selections from Eleanor Roosevelt’s many works – her magazine articles, newspaper columns, books, speeches, correspondence, radio talks, and press conferences – to track her career from the 1920s to the 1960s. The excerpts illuminate ER’s achievement as a champion of civil rights, human rights, and democratic ideals – ideals that are so relevant today! Among Eleanor Roosevelt’s major innovations as First Lady were her White House press conferences, limited to women reporters, which began two days after FDR’s inauguration in 1933. Intended to reach women voters -- and to save the jobs of women journalists -- the gatherings proved an invaluable publicity tool. ER at first dealt only with topics “of interest to the women of the country,” but she soon moved on to topics of general interest. Page 99 of In Her Words brings us to ER’s White House press conference of February 27, 1935, transcribed by Malvina “Tommy” Thompson, ER’s loyal secretary, and devoted to the theme of economic recovery. In full stride as a booster of New Deal policy, ER told the reporters what to expect in the next two years and what the New Deal had already achieved. Mrs. Roosevelt: “The big achievement of the past two years is the great change in the teaching of the country. Imperceptibly we have come to recognize that government has a responsibility to defend the weak. I also think that in spite of criticism, the administration of relief has been a great achievement. Page 99 in no way reveals all of Eleanor Roosevelt’s concerns of the 1930s – as political campaigner or guardian of the disadvantaged, as friend of the labor movement or advocate of racial justice. Nor does it include the lively exchanges with reporters that often shaped her press conferences. 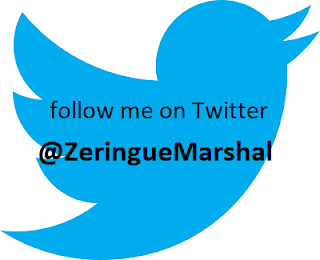 Still, in the space of a few minutes, ER touched on one of her favorite New Deal programs, the subsistence homestead program, with which she had been deeply involved. She mentioned one of her basic precepts about the role of the state: “that government has a responsibility to defend the weak.” Finally, she seized an opportunity to refer back to FDR’s stirring first inaugural address, given on March 4, 1933. “The only thing we have to fear is fear itself” has indeed gone down in history. Learn more about Eleanor Roosevelt: In Her Words at the publisher's website. The Page 99 Test: A Class by Herself: Protective Laws for Women Workers, 1890s-1990s by Nancy Woloch. Graham Joyce's "Some Kind of Fairy Tale"
Jessica L. Adler's "Burdens of War"
Zack McDermott's "Gorilla and the Bird"
Alejandro Nava's "In Search of Soul"
Jeremi Suri's "The Impossible Presidency"
Katja Maria Vogt's "Desiring the Good"
Alvaro Jarrín's "The Biopolitics of Beauty"
Peter J. Marina's "Down and Out in New Orleans"
Stephen Nash's "Grand Canyon for Sale"
Lane Demas's "Game of Privilege"
William Chapman Sharpe's "Grasping Shadows"
Chris D. Thomas's "Inheritors of the Earth"
Josh Dean's "The Taking of K-129"
Molly Farneth's "Hegel's Social Ethics"
Michael Loadenthal's "The Politics of Attack"